New Septic System Repairs in Qualicum, Parksville and Nanoose. Are you having some trouble with your septic system? Do you have waste water pooling on your property? Foul odors? Septic systems on Vancouver Island need to be properly maintained (pumped out every 3-5 years) in order to continue dispersing your waste water efficiently. Beaudry’s Bobcat & Septic Service is a Qualicum Beach based excavation contractor that has been serving the local area since 2007. We are a Registered Onsite Wastewater Practitioner who is licensed to repair septic systems otherwise known as “onsite wastewater systems” or “soil dispersal systems”. We can trouble-shoot and solve any septic system problems you might have. There are over 12,000 septic systems in the RDN alone and that doesn’t include much of Qualicum and Parksville. With lots of continued development happening in rural areas septic systems are going to remain a popular method for treating wastewater. Beaudry’s Bobcat & Septic is a registered ROWP (Registered Onsite Wastewater Practitioner) and can help you redeem these rebates. Read More Here. Why Choose Beaudry’s For Your Septic Repair Project? When you choose Beaudry’s Bobcat & Septic for your septic project you are partnering with a small local business that has been serving the Qualicum Beach area for the last 10 years. We are also licensed and insured and we are recognized by a provincial body to be working on your septic system. 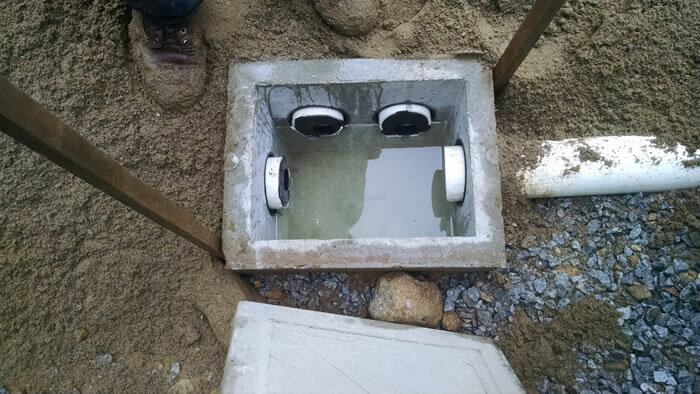 Our goal is provide you with a working septic system that will be trouble-free for many years to come with just regular maintenance. We rely on our word of mouth advertising from happy clients for our business to grow and your project will be treated with the utmost of attention and care so you’ll be just as happy with our work! If you’d like to receive a Free Estimate for your septic system repairs please give us a call (250) 240-4596 or fill out our contact form and we’ll get right back to you.